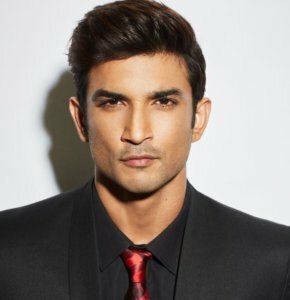 Actor Sushant Singh Rajput dropped his surname on social media platform Twitter as a mark of protest against activists of Rajput organisation Shree Rajput Karni Sena, who misbehaved with the crew of Sanjay Leela Bhansali’s upcoming film “Padmavati” and vandalised the set. On being reached for a comment, Sushant explained why he dropped his surname from his Twitter account. The incident on the “Padmavati” set occured on Friday in Jaipur. 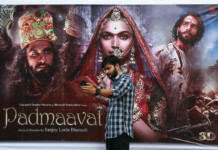 The Karni Sena activists damaged some cameras and other equipment as they opposed what they called distortion of historical facts in the film, which is about Alauddin Khilji, the medieval-era Delhi ruler, who fell in love with Rajput queen Padmavati. While the film fraternity has strongly condemned the act, Sushant had his own way to express his sentiment. “We would suffer till the time we’re obsessed with our surnames. If you’re that courageous, give us your first name to acknowledge. Padmavati,” the actor had tweeted. “Padmavati” features actors Ranveer Singh, Deepika Padukone and Shahid Kapoor in the lead. The film’s shooting has stopped for now.